To secure your date, a signed contract and a first (non-refundable) installment of half down is received at signing. The remaining balance is due 90 days before your event. A refundable security deposit of $500.00 will be required two weeks in advance of the event. All tents and event equipment must be rented from INTENTS, Inc. Delivery and setup of tables, tents, and chairs may occur before your rental period begins. All other deliveries (flowers, linens, catering, etc.) should occur within your rental period. Every rental includes full access to the Garden for event guests after business hours, free Wi-Fi access and free parking. Rental includes room for bride and attendants to prepare. A rental includes a two hour pre-wedding photography session, which may be scheduled during regular hours of operation on any day other than the wedding day. A rental also includes a one-hour rehearsal that can be scheduled for any day other than the wedding day during regular Garden hours. (Rehearsal must not conflict with other Garden activities, so it is not always possible to schedule a rehearsal on the day before your wedding date.) If you would like to schedule an after-hours rehearsal, there will be an additional charge of $50/hour. Additional time can be added to a rental period for $150 per hour. BGO tables and chairs are available to rent at $5/table and $1/chair. Rentals are dependent on availability and guest lists. We also offer a Simple Wedding option – renting one of our themed gardens for $225 per hour. Garden admission for up to 10 people is also included. Learn more. If you are interested in renting our facilities, please contact Kristen Hoover at khoover@bgozarks.org to make an appointment for a tour and discuss the terms of a rental agreement. BGO will waive the Garden admission fee for up to four people to participate in a tour. The Garden and our facilities are open and available for rental year-round, except on Easter Sunday, Thanksgiving Day, Christmas Eve, Christmas Day and New Year’s Day. Scheduling is on a first-come, first-serve basis. 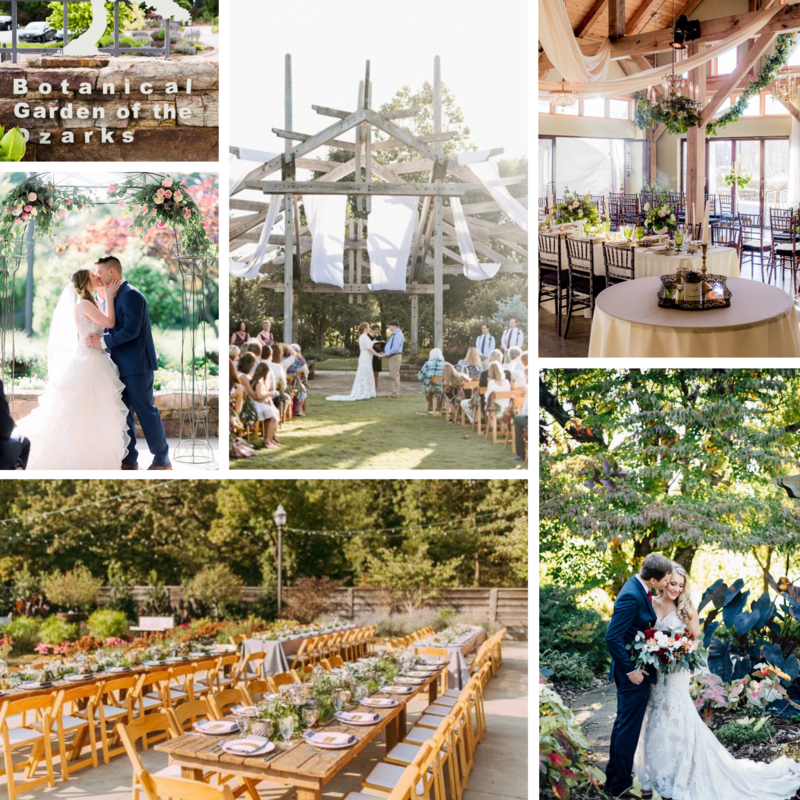 WATCH: See what Northwest Arkansas’ only botanical garden has to offer for your special event.